The York 2 x 10kg Rubber ISO-Grip weight plates have steel centrepiece to facilitate loading and unloading of the bars and can be used both for regular barbell training and functional training. The plates offer the ISO-grip design with three holes and a streamlined rim to ensure increased manoeuvrability and added safety. 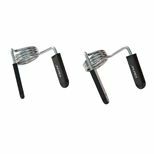 They have a 2” hole diameter which makes them compatible with Olympic bars and feature rubber coating for enhanced durability and floor protection. for submitting product information about York 2 x 10kg Rubber ISO-Grip Weight Plates We aim to answer all questions within 2-3 days. 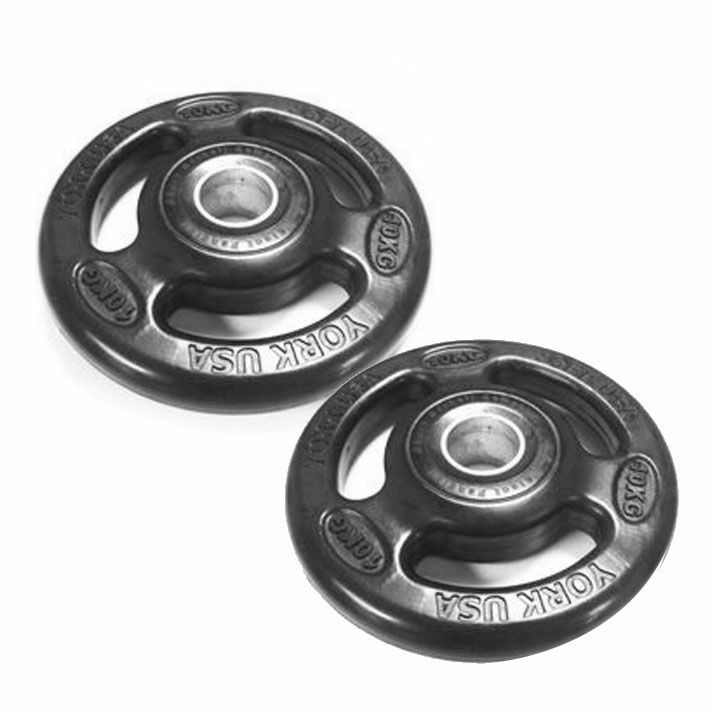 for submitting product information about York 2 x 10kg Rubber ISO-Grip Weight Plates. We aim to answer all questions within 2-3 days. If you provided your name and email address, we will email you as soon as the answer is published. for submitting product review about York 2 x 10kg Rubber ISO-Grip Weight Plates.